Those who are looking for a new console this Christmas will be given the choice of either the Microsoft Xbox 360 console or the soon to be released Nintendo Wii.Things aren’t that simple however because there is also the Playstation 3 due to be released early next year raising the question as to whether it’s worth holding out for the Sony offering. I haven’t had chance to play on this machine just yet as it is not currently released in the UK however it is available in the United States so this weeks article will focus more on talking about the technical details of the machine as reported by our overseas friends rather than my own personal experiences.There are also two versions of the Playstation 3 available in the US although at present I am unable to ascertain so to whether both versions of the console will be available in the UK.For the purposes of this review therefore we’ll be looking at the more powerful of the two which is already available to pre order in the UK from www.play.com. From looking at the specification sheet it would appear that the PlayStation 3 is a touch more powerful than the Xbox 360 and vastly more powerful than the Wii.Of course raw computing power isn’t all that people look for in a console so it is worthwhile looking at other features that the console has to offer.Incidentally I have already reviewed both the Xbox 360 and the Wii so those wanting to read about these two systems should head to www.computerarticles.co.uk to view copies of these previous articles. 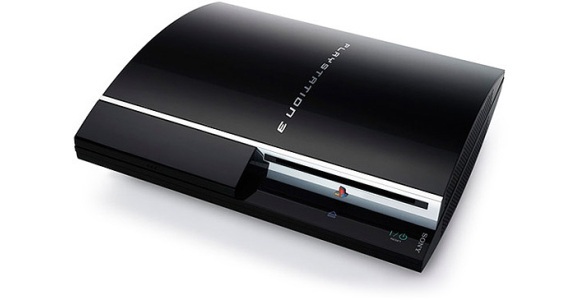 The most impressive factor of the PS3 development is the new ‘Cell’ processor which was developed as part of a joint venture between Sony, Toshiba and IBM.This processor comprises of a primary 64-bit PowerPC core and eight separate processing cores – this circumvents the levelling off of performance experienced by the more common single core processors.This particular processor runs at 3.2 GHz and is designed to work in conjunction with 256mb system memory and a powerful 256mb Nvidia RSX graphics chip. Other impressive specifications include a recently developed Blu-ray drive which offers a fantastic 50Gb of storage on one single disc (dual layer) which compares to just 8.5Gb on the Xbox 360 or Nintendo Wii.Additionally 60Gb of Hard Drive space is provided for day to day running of the console, music, videos, downloads and saved game files.The system also includes support for 7 Bluetooth controllers, a wired and wireless network controller as well as support for several standards of removable media (Compact Flash, SD Slot, Memory Stick and Memory Stick Duo). With regards to video the Sony PS3 has both AV and HD outputs, the latter of which will be necessary if you want get the most graphically out of your system including Blu-Ray movies on your new HD Ready TV.Those who are lucky enough to have a compatible sound system can also use the optional optical cable alongside a 7.1 channel audio system for a completely immersing game experience. Of course, so far this system is sounds absolutely fantastic but to ruin it all I should probably mention the price.The unit that I have just been talking about above is £549.99 from Play.com which compares rather unfavourably £289.99 for the Xbox 360 Premium pack or £179.99 for the Nintendo Wii.Additionally you have the cost of games to consider which are currently available to pre-order at around the £49.99 compared to around £37.99 for other consoles currently on the market.Of course these prices will come down once the system has been released but it’s certainly food for thought for those that have plans of rushing out on the release date of the 7thof March with the intention of being one of the first UK PS3 owners.